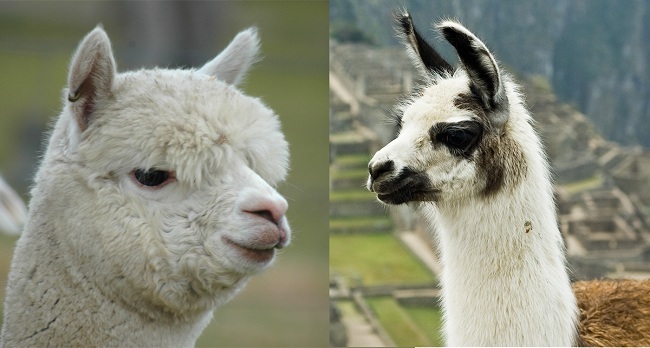 Truthfully, we never really thought about the differences between llamas and alpacas. We know they look alike and both come from South America. And, as a survivor, if things get really bad, they can both probably be eaten and their skins made into warm clothing. We do know that Alpacas have a slightly sarcastic look to them like they know they are too cool for you but will allow you to hang around them because they do not really care what the rest of the world thinks! They have street cred amongst their species, the little camel that could and does, but they also know that you will want to sheer them rather than eat them. Alpaca fleece is a lustrous and silky natural fiber. It can be used and traded. As long as they can grow a wanted and needed fiber they are assured to have a long life during a collapse. A llama, on the other hand, is very social and seems to want to be everyone’s friend. We are not sure if it is because it knows it’s a meat and pack animal, hoping to help-out around the yard or farm rather than become dinner, or if it’s just a naturally trustful and open-minded animal. They even have a natural – “Hey, how’s it going?” look on their faces. Still, there are other differences and we will give three over on the next page!